Don't be fooled by web sites that are just floral order gatherers. We are the actual faces that will design your flowers! For Flowers that say what you feel, Rose & Blossom is the perfect choice. With two locations serving Spokane, WA & Spokane Valley, WA. We are among the area's largest and favorite florists. 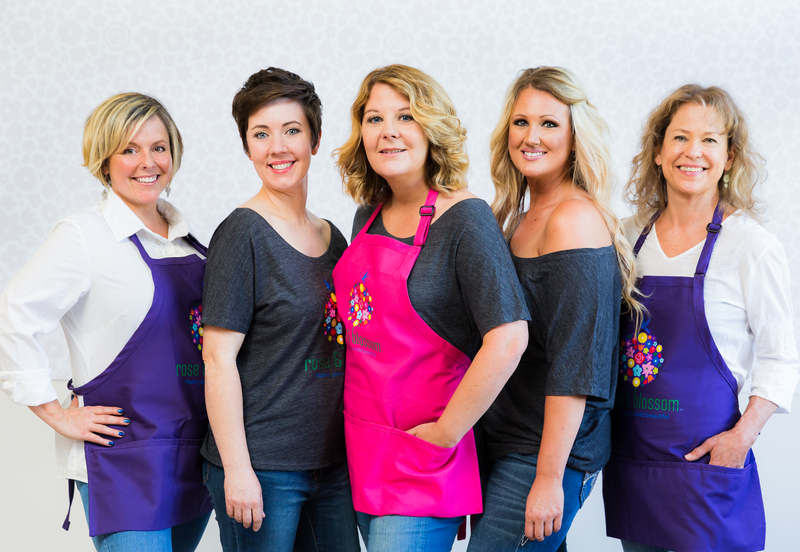 We started as Just Roses in Spokane in 1992 doing simply roses. Then as our business grew we expanded into a full service florist, with roses as our specialty. The business received a number of awards over the years from various newspapers and publications naming Just Roses Plus the area's favorite florist. Starting in the fall of 2014, we changed our name to Rose & Blossom. We still have the same owner since 1992, same quality and service, just a better name. Our buying power keeps our prices low as well as our product fresh. In addition, we have a large delivery area covering the greater Spokane and Spokane Valley areas. Enjoy the Convenience of Ordering Online. At Rose & Blossom, we are committed to quality and service. Our 100% Satisfaction Guarantee is our personal commitment to creating long term relationships with our customers. Your satisfaction is our number one priority, not just because it's our job, but because we care. We choose only the freshest, highest quality flowers and our shop has a professional and caring staff to serve all your floral needs. Your gift will arrive beautifully presented and personalized with your message. Need help with a special event? We'll help you choose the perfect flowers for the occasion. Few gifts create an impression like fresh, colorful flowers. Make your next occasion one to remember with a gift from Rose & Blossom. From lavish anniversary flowers to heartfelt sympathy flower arrangements, Rose & Blossom (formerly Just Roses Plus) is the florist to call when you want something special. Allow us to be your flower source for Mother's Day flowers, Valentine's Day flowers, or any other holiday. For the most elegant flowers in Spokane, WA and Spokane Valley, WA including Get Well flowers and Birthday Flowers, call Rose & Blossom. We gladly accept orders online or you may choose to browse our website and phone in your order to our shop. Don’t see exactly what you want? We can create a custom gift baskets designed to perfectly fit your special occasion. When you need to send the very best, Rose & Blossom, formerly Just Roses Plus, your local Spokane, WA and Spokane Valley, WA flower shop. Send Exquisite Flowers in Spokane, WA and Spokane Valley, WA from Rose & Blossom. Learn more about our flower delivery services. Started with one location in Spokane in 1992, as Just Roses Plus. Then grew to 2 locations in Spokane and Spokane Valley, WA. Since then Rose & Blossom, formerly Just Roses Plus, has been among the Inland Northwest's favorite florists for Birthdays, Anniversaries, Weddings, Funerals, etc. We’ve been voted the Inland Northwest's favorite florist many times over the years by a number of publications. With Roses being our niche, Rose & Blossom focused on bringing our customers fresh, farm direct, roses that are long lasting and affordable. Then in the early 2000's we added fresh seasonal flowers and became a full service florist with an emphasis on quality and customer service. Weddings are our passion. We have been voted Favorite Wedding Florist by KREM2 and The Best of Spokane for 2011, 2012, 2013, 2014. Rooted in Family Values, Rose & Blossom strives to treat each and every customer as if they were family. Focusing on service and quality keeps our customers coming back year after year. It is our hope the each bouquet brings blessings and joy to each recipient! 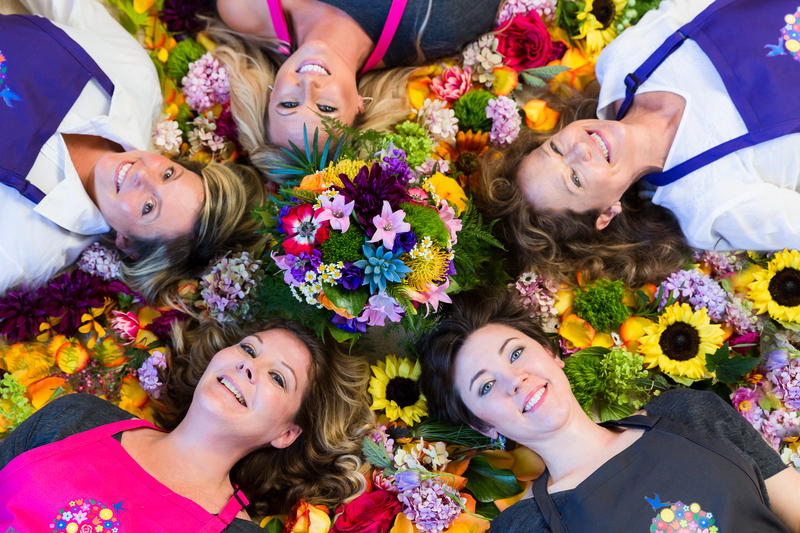 Meet Our Team of Florists! 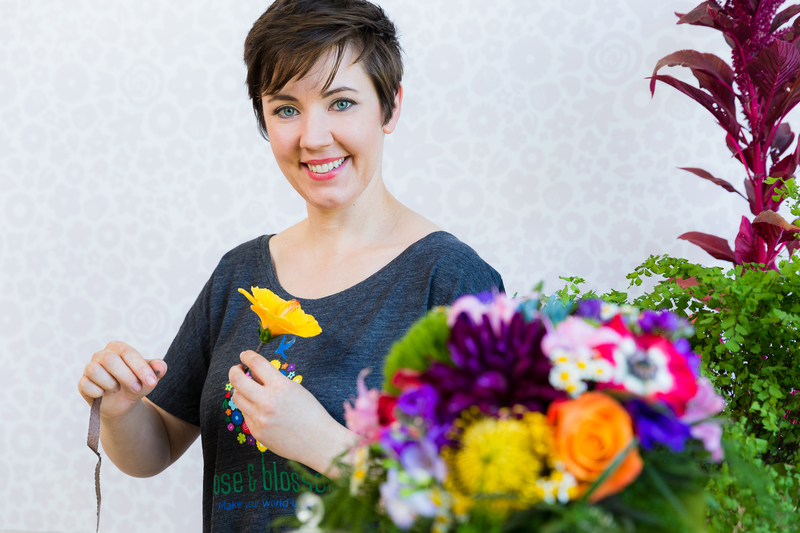 Upon graduating from Gonzaga University with a degree in Marketing, Terri O'Connor started Just Roses Plus in 1992 with one small store in Spokane with the niche of specializing in roses. The concept took off and soon her stores grew to three locations in Spokane, WA, Spokane Valley, WA, and Coeur d'Alene, ID. As Terri's business grew into a full service floral shop with weddings and roses as her specialty, the name "Just Roses" didn't fit. It was in the fall of 2014 after 22 years as Just Roses, that Terri decided to rebrand to Rose & Blossom. This name better fits Terri's vision and goal for Rose & Blossom to bring beauty to your world. Terri's education never stops, as she continues to educate herself in all the latest floral trends and latest techniques of floral care and handling. With family in Belgium, she is inspired by European Designs and quality. Terri lives in Spokane with her husband and is surrounded with family who routinely help on big floral holidays. Uncle Gary flies in from Tucson, AZ and Mom and Dad make the trip from Montana. If all the Rose & Blossom Drivers are busy delivering, a call to Sister, Cindy, is always good in a pinch. This emphasis on family is how Terri runs her business with both employees and customers. "You can get beautiful flowers at many flower shops, but it is the experience and how you are treated that makes a difference. At Rose & Blossom, we like to treat our customers as we would family." With over 15 years of experience in floral design, it's no wonder that Jenn has earned us Spokane’s Favorite Wedding Florist for four consecutive years running. 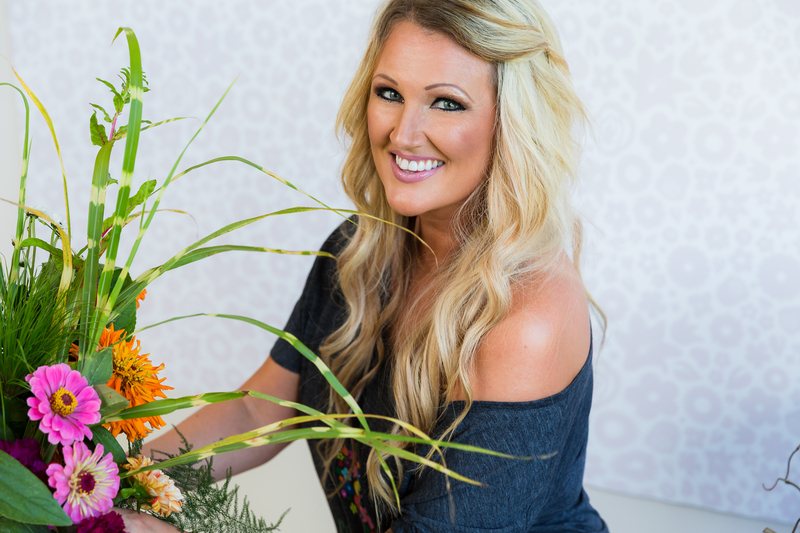 Jenn went to school for fine arts, and integrates her passion for art into her vibrant floral designs. 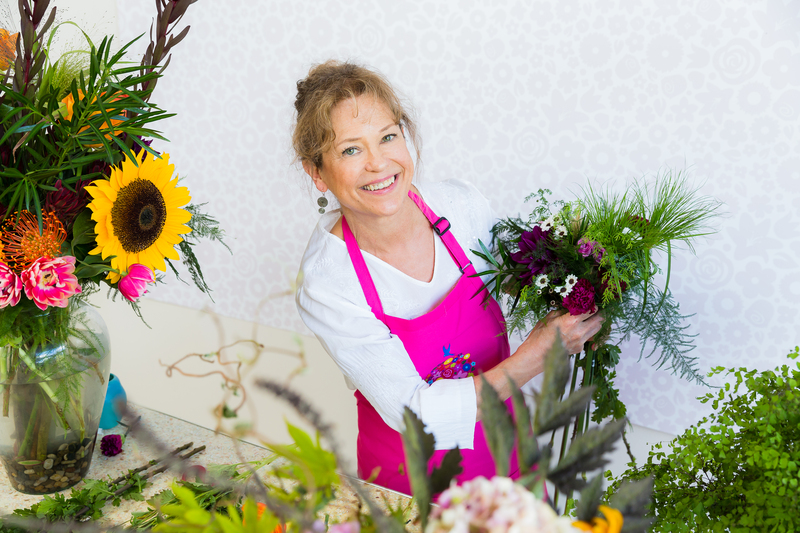 Ona loves floral design, and brings over 30 years of experience to the table. That experience shines through in her unique designs and mastery of floral art. 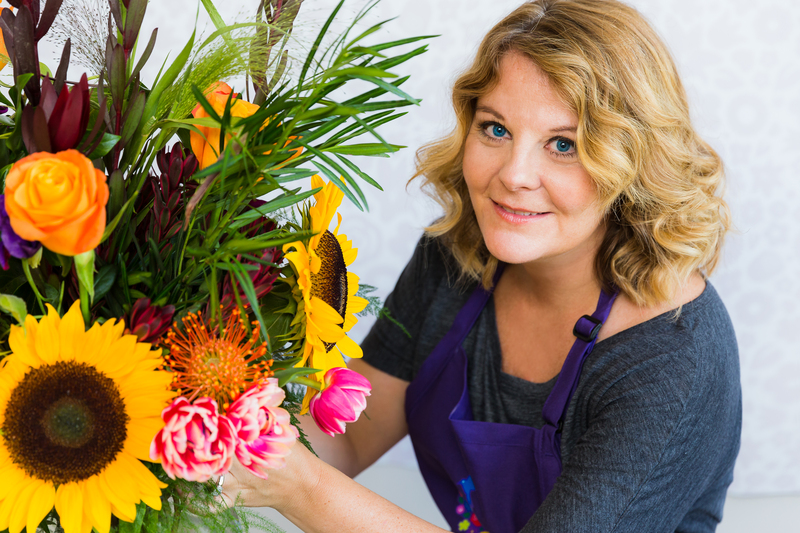 Kelly has 20 years of experience with floral design, and used to run her own flower shop. She has a passion for floral design, and that passion shines through in each of her arrangements.